Everyone knows that bananas are good for you. But just how good? 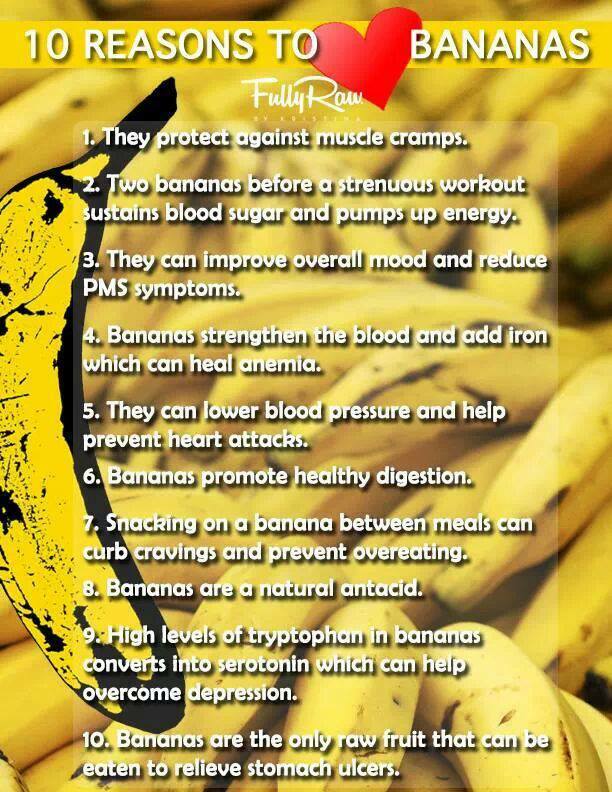 Well, here is a list of just 10 of the wonderful benefits of nanners. I like mine pale yellow to a little green, however, there is some research that says the riper the better. So, read up and peel one today. One of natures greatest super foods is out there waiting for you. They are great raw, or wonderful in smoothies! How do you gain weight? What is a pound? What does it look like? 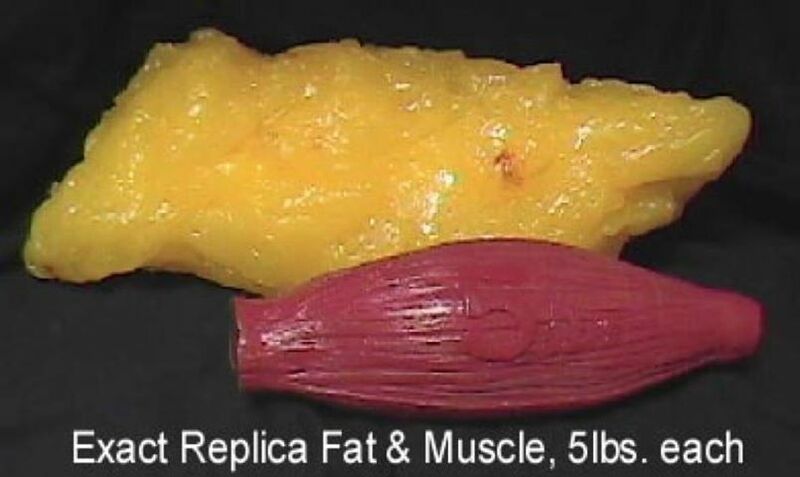 Well, here’s a representation of what 5lbs of muscle looks like versus what 5lbs of fat looks like. If you put them both on the scale, they are identical. However, as you look at them, they are absolutely NOT the same, right? Muscle is SIGNIFICANTLY more dense than fat. What that ultimately means is that it takes up significantly less space. So, even though it’s still 5lbs, it is much smaller. 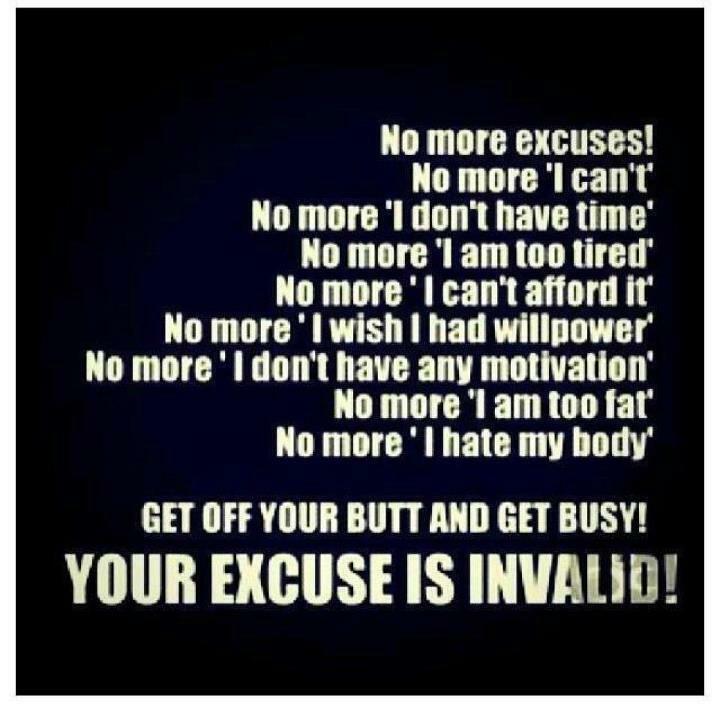 Therefore, if we make an application out of this, it means that as we workout we lose fat and build muscle, right? So, if you lose 5lbs of fat and gain 5lbs of muscle, what does the scale say? Nothing. Same. No change. Frustration. But what does reality say? Clothes fit better, measurements are smaller and you look and feel like a whole new person. It’s only 5lbs. So, it finally comes to an end. 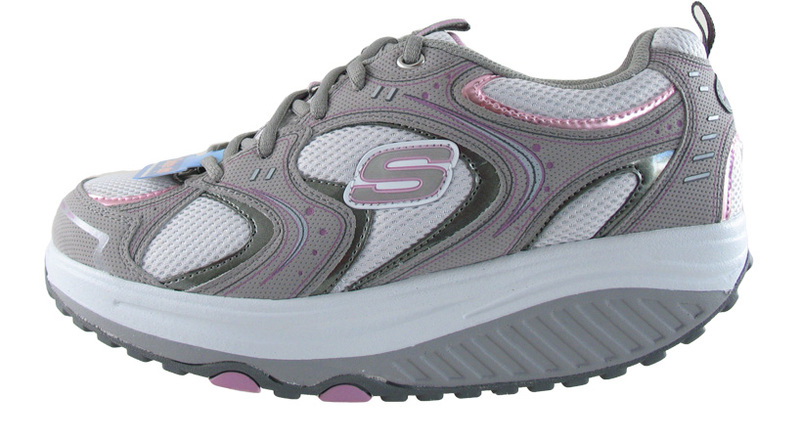 Skechers finally is issuing the refund checks for their poor marketing decisions. Long ago, I wrote of the problems with the Shape-ups shoes. Then they agreed to a settlement last year. Now, the checks finally go out. So ends the saga. One of the worst fitness plans ever developed pushed by one of the worst marketing campaigns ever! Hopefully lessons learned. Like I said before, if it’s something that a Kardashian is willing to endorse….run far and run fast, my friends! Children are the future. And as of right now, the future is looking foggy, at best. With kids being less active now, than ever, the rates of Diabetes, obesity and heart disease are rising at alarming rates. The good thing is is that the solution is simple! 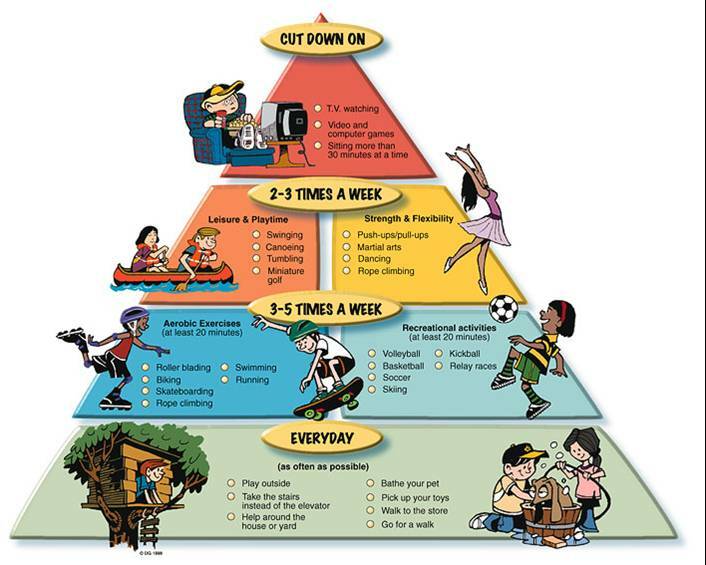 Getting kids more active in their free time. Less video games and TV and more running and playing, like they’re supposed to do in the first place. Getting kids up and running (so to speak) teaches lifetime skills and habits that are more likely to stick with them as teens and adults. Statistics bear out that kids who are active are much more likely to become adults who remain active. Do the next generation a service, and turn off the tube. Get them outside. Get them active and keep them healthy! 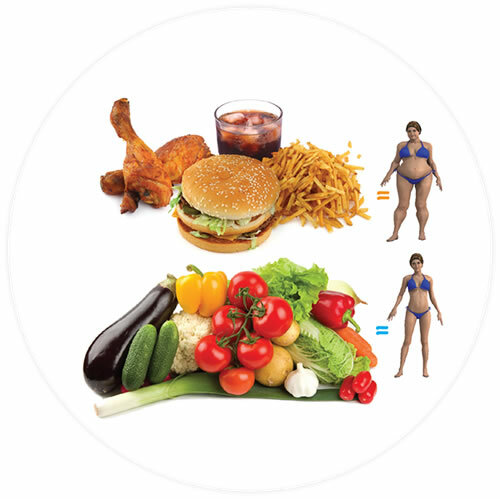 So, it comes to our attention (everyone, that is), that as we go through our life, our weight and body shape cycle a little bit. Sometimes we’re up and sometimes we’re down. Very few people are able to really consistently stay in one exact place forever. Most people cycle up and down based on certain circumstances in their lives. The big thing is to not get TOO overly worked up about it. But rather, find the root of the issue and make a necessary change to re-tip the scales in your favor, so to speak. Whether it’s a stress issue, and exercise issue or a food issue. I know that I will be working to get back into good exercise and dietary habits that I fell out of over the long week off last week. Little too much BBQ’s and drinky drinky, and not enough good food and good work. It’ll be good to get the nose back to the grindstone this week to re-regulate myself and get everything back into the right groove. Good luck to you all and welcome back!